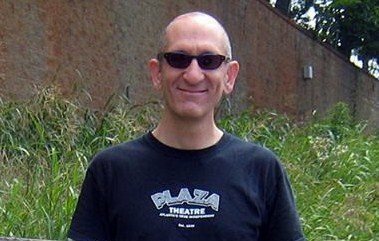 Fundraiser by Beth Anne Harrill : Greg Germani - Give for Greg! For over 10 years Greg Germani has chronicled the changing face of Atlanta via his ATLANTA TIME MACHINE website. A labor of love (for which he's never solicited contributions or advertisements), Greg has collected hundreds of then-and-now images of Atlanta, waging a one-man crusade to share with his fellow Atlantans a sense of their history. Over the years his site has been celebrated in multiple news stories and he's garnered thousands of fans as he's helped us appreciate the history of the place we call home. Now, however, it's Greg who is in need of our help. On the evening of June 9, while cycling home from work, Greg was viciously, intentionally run down by a driver and left for dead. Thanks to the help of fast-acting strangers and the amazing work of doctors at Grady Hospital, Greg's life was saved that night. 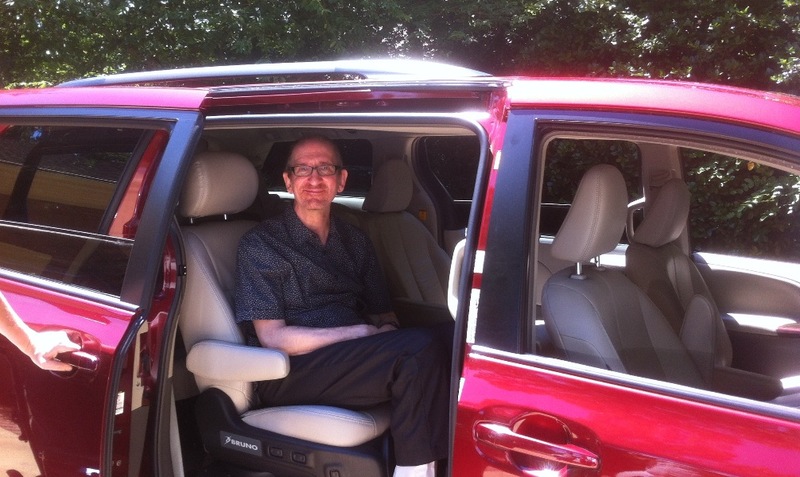 Greg has received outstanding medical care every step of the way. Seven weeks after the attack, however, Greg is facing a long road to recovery. He has suffered multiple injuries, the primary one being a severe brain injury from the impact of the incident. (Importantly, he was wearing a helmet.) There is so much unpredictability about a brain injury, but the consistent word is that Greg will recover on his own timetable. While we have faith that Greg can heal, what many people never realize (unless they have to deal with one of these situations) is that even good health insurance plans won't remotely cover the costs that Greg will incur as he recovers. The brutal truth is that Greg's recovery will have STEEP FINANCIAL COSTS, EVEN WITH HIS HEALTH INSURANCE. While Greg’s insurance has great coverage for hospitalization costs, like many insurance plans, his post-hospitalization benefits are limited. Treatment for a traumatic brain injury goes far beyond hospitalization and inpatient rehabilitation. It will be a lengthy treatment plan requiring outpatient therapy, in-home care, the purchase of rehabilitative equipment, and potential modifications to Greg’s home. With insurance plans that limit the coverage of a patient’s days of outpatient therapy and home nursing care and all the attendant costs of returning home, the odds of recovery favor those with the financial means to pay for treatment. And, obviously, it's essential that Greg gets the best care that's absolutely possible. Thousands of people are familiar with Greg because of Atlanta Time Machine, but to those closest to him, we also know him as a music lover, a promoter of popular country and rockabilly concerts, an avid cyclist, a great co-worker, a dog lover, a wonderful neighbor, and -- most of all -- a funny, thoughtful, and loving boyfriend, brother, and son. So for Greg's sake, for the sake of his many loved ones, and for the sake of Atlantans whose lives have been enriched by his selfless contribution to his community, we are appealing for help. 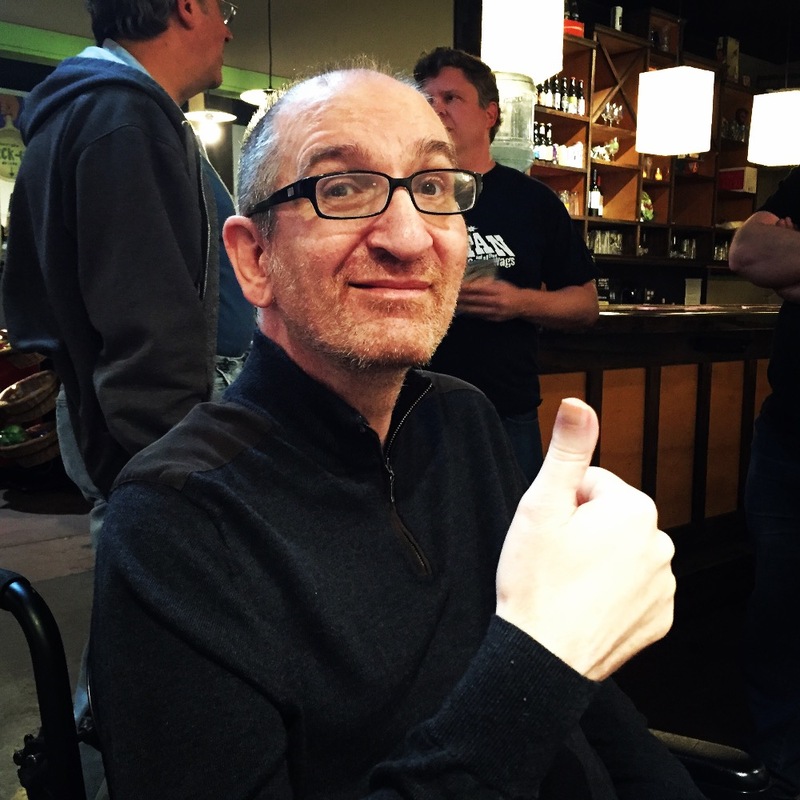 We want that Greg back in our lives as soon as possible, and we're calling on anyone who's been touched by Greg's life and work to "GIVE FOR GREG." Greg’s family has established a third party “Special Needs Trust for the Primary Benefit of Gregory Thomas Germani” for this purpose. Any contribution that you are willing to donate to help Greg get the long term care he needs is deeply appreciated. We thank you for sharing Greg's story, and this appeal for help widely. And, most of all, we appreciate your love, support and prayers in Greg's time of need. Contributions made via GoFundMe (or otherwise) will go to this third-party special needs trust, and those funds will only be used to meet Greg’s health care needs not otherwise covered by insurance or other means in accordance with the terms of the trust. Donations are considered a gift and are not eligible for a charitable deduction for tax purposes. If you have questions about the consequences of any gift or donation, please consult the appropriate legal or financial authority. If you would like to review a copy of the Trust Agreement, please contact the Trustee, Beth Anne Harrill. Three years ago today Greg Germani was brutally struck by a hit and run driver while commuting home from work on his bicycle. It's hard to put in words all the emotions that come to mind on this date. First, I'm so thankful for the incredible medical care that Greg has received from Grady Hospital ER & ICU on that night and the next two weeks, Shepherd Center and Shepherd Pathways for the incredible rehab care, and Kaiser Permanente doctors for their ongoing comprehensive care of all of Greg's needs. (And thank you ACA for allowing Greg to keep his care without limits.). Second, I'm thankful for Greg's extraordinary network of family and friends who have been there for him all along this difficult journey. Third, we wouldn't be here today without Greg's incredible nurses who provide him care - Chris, Pauline, and Williette. They are the backbone in all of this. I'll never forget that night in the ER and the words of the doctors who were treating Greg - "his life and your life are never going to be the same." It's so very true. It would be very easy to be depressed and bitter about the circumstances (and I've been there), but Greg is an amazingly optimistic person who is unburdened by the circumstances and takes joy is the things he continues to love - music, photography, history, travel. I'm really thankful to look back on the past year and be able to say that we've taken some great road trips to Knoxville and Athens, we've attended concerts, grilled out, taken advantage of our incredible van (thank you donor you know who you are! ), and just tried to live as "normal" a life as possible. If you want to do something for Greg, there are 2 things you can do: (1) visit. He loves, loves having folks drop by and talk. Drop me a line and I will get you on his schedule. (2) Please consider a small donation to continue helping in his continuing medical care. https://www.gofundme.com/greggermanitrust. Greg's nursing care is 24/7 and it allows him to stay in his home. Unfortunately, it is all out of pocket as none of it is covered by insurance or Medicare. Thanks, all. Greg is blessed to have friends and family like you and we are all really lucky to have Greg to remind us about what is important in life. Hi folks - I'm not really good at doing updates on Go Fund Me, but I want to give an update on Greg in case you're not on Facebook. Greg continues to improve and gain strength. Most encouraging is that his short term memory is improving. He can recall conversations from earlier in the day or week which is tremendously exciting given the severity of his brain injury. We've been busy - we spent Christmas with my family in Maryville, Tennessee, Greg's been going to the movies weekly with his nurse, Chris, and he remains an avid and vocal vinyl enthusiast. We've also gotten into the crafting business. I started making Christmas wreathes last year as a way to raise money and, lo and behold, people liked them. I hated throwing out the unused album covers, so I found a way to turn those into notebooks, jewelry, and bookmarks. We had quite a bit of success selling to neighbors and friends. I finally got around to setting up an Etsy store and we've gotten a little bit of publicity via Decaturish ( http://www.decaturish.com/2017/01/injured-cyclist-greg-germani-opens-online-store-to-fund-recovery-expenses/). A few people have asked about making a donation outside the GoFundMe site - to do so (and thank you very, very, very much!) you can make a check out to the Special Needs Trust for the Primary Benefit of Gregory T. Germani and mail to me, "Beth Anne Harrill, Trustee, at P.O. Box 846, Atlanta, GA 30301." June 28, 2015 - Today was just an incredible day for Greg Germani. After Jeff Hullinger’s interview with Greg aired a couple of weeks ago, I received a message from Cynthia Hanrahan Henry. Cyndy’s late father, Clem Hanrahan, was also treated at Shepherd Center a few years ago. The family was incredibly moved by Greg’s circumstances and wanted to make a gift to Greg. The gift is just extraordinary – a 2012 Toyota Sienna van with adaptable seating. Yes, you read that right – a gift of a van. We spent the afternoon with Donna Hanrahan, Clem’s wife, and her daughter, Cyndy, and son, Jim Hanrahan. I knew it would be emotional, but once we started talking and discovering all the things, other than the medical ones, we have in common, it just seemed to be fate that the Germanis and Hanrahans would cross paths. The clincher was when Greg mentioned his love of Ray Price. Turns out that “For the Good Times” is a special song for this family. We will be creating a lot more good times with this van because it really gives Greg so much more freedom during the week. He won’t need to rely on me for transportation; if he wants to go somewhere his nurses can take him. Mobility and independence are two of Greg’s overarching goals and this unbelievable gift will provide the means to achieve them. For all the difficulties of the past year, I have learned that the good, the truly great, people in this world shine through and help you forget the rest. Thank you Hanrahan family- friends for life!